The Kinkade family explored the desert Southwest, in an oversized RV equipped to be a rolling art studio. At Zion National Park in Utah, (sometimes called Yosemite Valley in Technicolor) the campground is situated in an immense amphitheater, surrounded by great beetling cliffs that loom over the scene like mute giants. 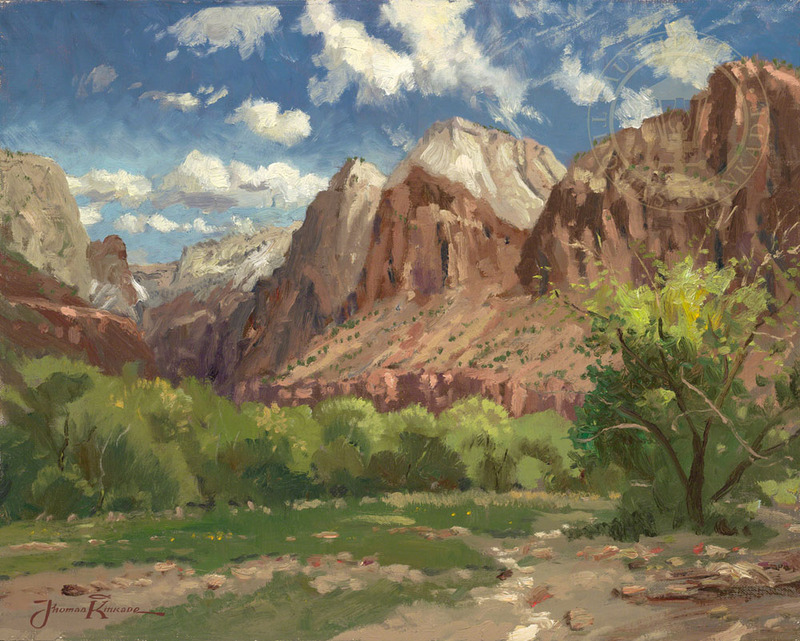 When I set about painting Zion National Park, my ambition was simple enough. I wanted the viewer – even if you've never been to Zion yourself – to share my sense of awe at the place, my worshipful appreciation for what God has wrought here.